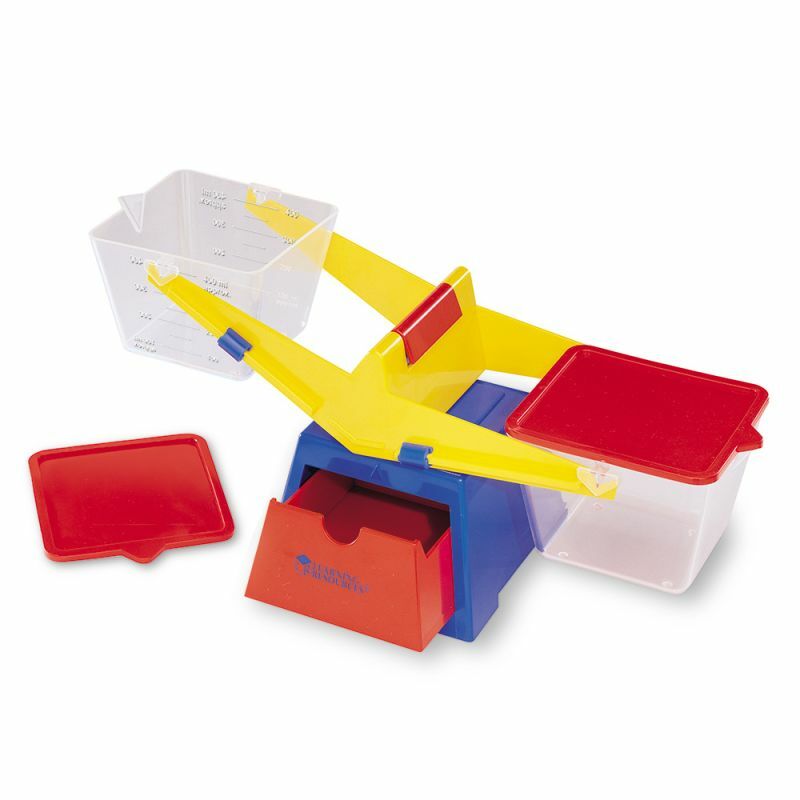 Explore volume and compare solids and liquids with this sturdy bucket balance. Clear buckets can hold solids or up to 400 ml of liquid and remove easily for emptying. The buckets’ lids can be used as platforms. Balance features a built-in storage drawer and measures 16½”L x 6½”W x 6″H.